The Mavic Inferno Extreme Winter gloves are the top of the range from the French company and designed to be worn in sub-zero temperatures, potentially the coldest road cycling conditions. They feature a removable inner, for added insulation and versatility. A velcro strap enables you to adjust the width of the cuff and keep it secure. The gloves also feature padding on the palms for added ride comfort. The gloves are available in two colours, red and black and priced at £62.50 RRP. The gloves are pictured in black, but are also available in red. Note the subtle Mavic logos. So how well do they perform? In a word, these gloves are warm! 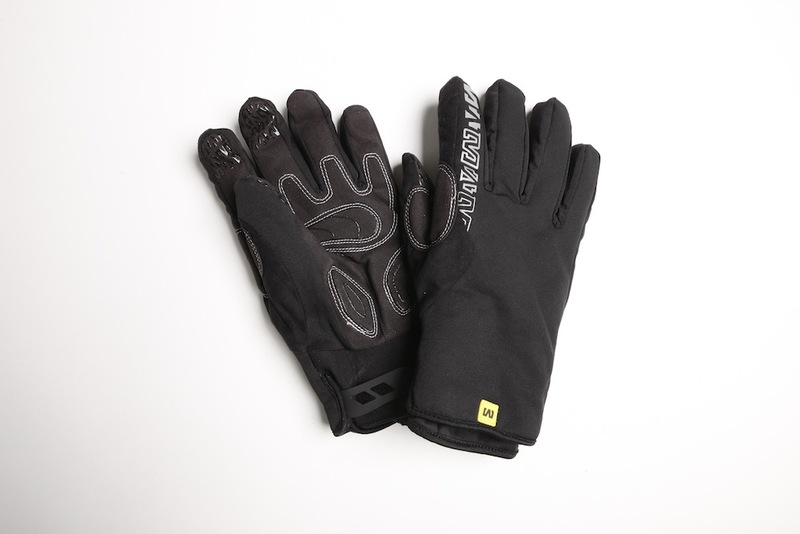 During the recent cold snap when temperatures were consistently around or below 0ºC these gloves were our go-to pair. They breathe well too, which is impressive considering how toasty they are. When exposed to showers mid ride, our hands remained dry. Equally impressive is the lack of bulk, when we consider the level of insulation. Yes, they are bulkier than a less warm glove, but they still retain good dexterity – we were able to grab food from our pockets and operate our Garmin touch screen without difficulty. This seems to be where your extra money goes when compared to just-as-warm but slightly cheaper alternatives such as the Pearl Izumi Softshell gloves. The cuff on this glove is not the longest, but works perfectly when combined with an ‘ergo cuff’ such as that found on the Mavic Sprint Jacket and other winter jackets. However if your jacket doesn’t have a stretchy cuff, you may experience an uncomfortable gap. Something important to note, is that we found these gloves too warm over about 6-7ºC. Around 0ºC we wouldn’t want anything else, but if most of your riding is above 5ºC and you don’t venture out in icy conditions, you may want to consider a more versatile glove. A superb deep Winter glove that will keep you fingers warm and comfortable in the coldest conditions. Considering how much insulation they provide, dexterity is impressive.